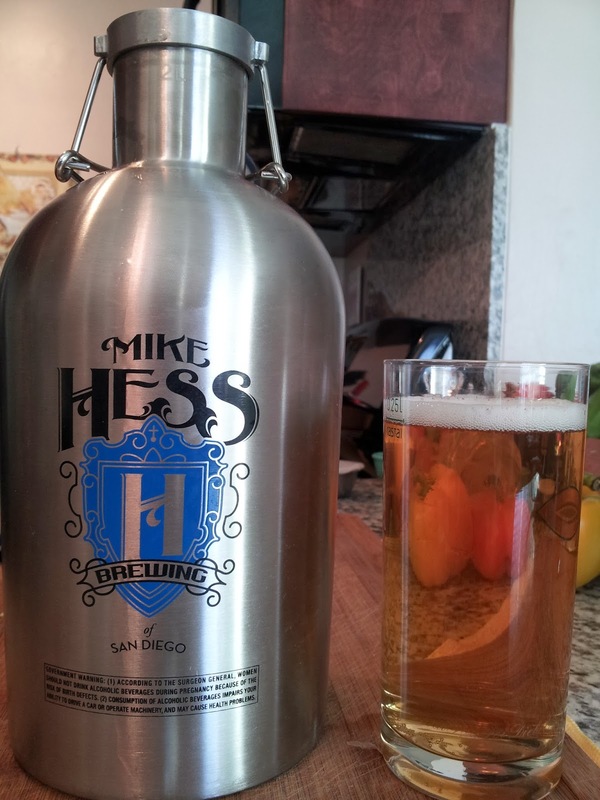 It's interesting to me that this is the first review of a beer made by (Mike) Hess Brewing. They've been around for a number of years now, but only recently expanded their operation to a moderate sized brewery (from a nano-sized operation). Their expansion is accompanied by one of the more impressive marketing/branding campaigns in the San Diego beer scene. Everything at Hess is immaculate: from the new brewery, to the pouring room, to the t-shirts, to the stainless growlers, to the beer designs, to the consistency of the naming system, to... well, you get the idea. And yet, most people have never had Hess' beer. That appears to be changing with the uptick in production volume. I mentioned the naming system; but, now that their beers are more frequently on tap around SD, that naming system is a shot in their foot. What the hell did I just drink? Ex Humbris Solanas Veritas, or something?? Everytime, dammit. Claritas is at the top of their pour list, and for good reason: it's fantastic. I'm impressed mostly because most breweries make a kolsch-style ale, rather than an actual kolsch. But this is a kolsch, and a fine one at that. It has a bit more body and depth than a pilsner, for example, but is just as refreshing, and retains that crisp bite that you'd expect from either style. And it finishes cleanly too, so high marks all around. I have to note the NSP here. While it does reflect the generally low pricing that you'll find with all of their beers (at least at the North Park facility), it may have been a mistake. I asked the lady about the fill prices for this beer and their Vienna cream ale, and was shocked that the VCA was $18.50 versus $5.50. Huh?? I think she was talking about the coffee+nitro version of the VCA--which I also had, and which was unbelievably good--but whatever. And so, in conclusion, hell yeah I'll take a $5.50 growler of delicious beer made just around the block!